All classes on the Class Card system are drop-in basis. Classes are not part of your regular team practices. NEW – Classes are for members only. Membership is valid each year from May 1st until the following April 30th and is 35 dollars plus hst. If you want to try our program, then be sure you come for a FREE trial class. Simply purchase your card though our online store and sign up for classes online. There are no refunds for class cards and no replacements for lost cards. – “My daughter is really enjoying the Tuesday night tumbling classes. This is her first year in cheer. Emma (the instructor) has been fabulous with my daughter. She is patient, kind and encouraging. She has taught my daughter her somersault as well as her cartwheel in a very short period of time.” – Tiffany R.
Level 3/4 Tumbling – Should have mastered level 2 skills. 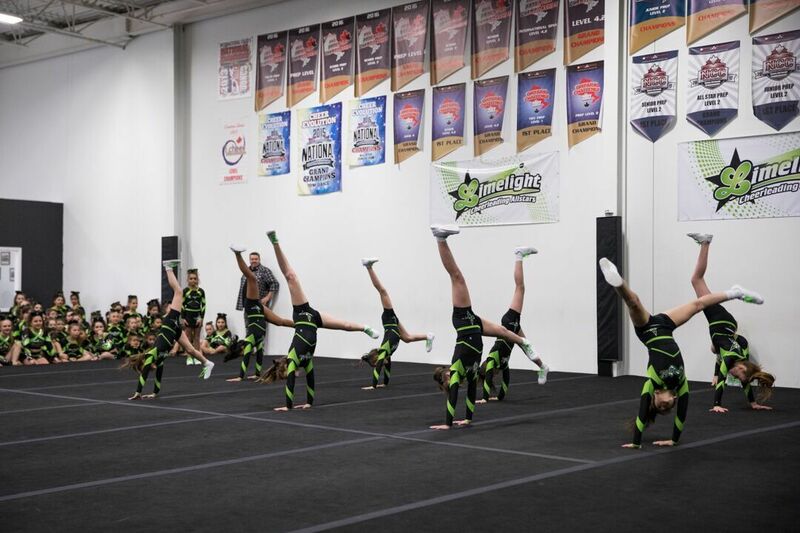 Athletes will focus on Tucks.